It is a media player that combines ease of use with a long list of powerful features. An open source media player built on Mozilla XUL and MPlayer. WinX DVD Player is comprehensive and all region free DVD player software for PC users. WinVideo is a complete solution for managing a video store. 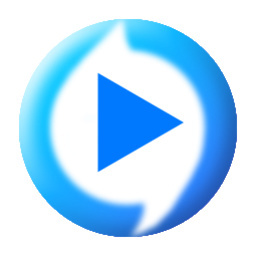 Winner Media Player - simple and convenient media player files for Windows. Use Corel’s application WinDVD Pro on your PC to view videos and watch your collection of DVDs and Blu-Ray discs. Voya Media is a cross-platform media player that easily plays all your music, pictures and videos. ViPlay, a free media player offered by URUWorks, uses overlaying technology to play your videos faster and more efficiently. Tomabo MP4 Player allows to play numerous media files and to create playlists, using a very simple interface. TerSoft SWF Player allows you to play any kind of SWF file, using a very simple interface. Free software that synchronises media players so that faraway friends can watch videos together. StPlayer offers playback support for a wide range of audio and video formats, using a simple interface. If you enjoy watching 3D movies, Stereoscopic Player allows you to play them from the comfort of your home. Starbuck's FreePlayer is a simple and complete media player based on the powerful MPlayer project. Seeing that it comes with extensive format support, SockPlayer will play any audio or video file you throw at it.